Missing the kids this Christmas? My heart goes out to people in this situation – it’s really tough. I’ve watched friends go through the pain of being separated from their children for special holidays, and having their family traditions decimated. I knew of one lady who refused to do anything or accept any invitations for Christmas because she felt it would be ‘disloyal’ to her children to enjoy the day without them. Sadly, her kids were painfully aware of their mother’s misery, which made it impossible for them to enjoy their day with Dad when they were worrying about Mum at home alone. The people who get through these situations best seem to be those who make a conscious effort to look for the positives offered by their new circumstances, even though it’s not what they would have chosen. Instead of trying to hold on to old ways of doing things – which is impossible, really – they look for creative ways to build new traditions. If this is your situation, remember that first of all, you don’t have to miss out on Christmas with your children altogether. You could nominate another day over the festive period to have a ‘Christmas Day’ with them, and invite other family members, including grandparents, aunts, uncles and cousins. Tinsel, gifts and Christmas dinner with all the trimmings can still be a lovely festive experience – after all, it’s not the date that really counts. Having said that, Christmas Day itself is bound to be hard, especially if you spend the day alone, wondering what your children are up to with your ex and their new partner. So plan to call or Skype with your kids (they’re probably apprehensive about the occasion too), pray that they all have a lovely day (even your ex, if you can manage it) – and then set about distracting yourself with activities to fill your day with joy and satisfaction. Family and friends may be keen to invite you to join them, so accept those offers. You might even find you have more freedom to visit people further afield than you can easily do with the kids in tow. Alternatively, you could consider inviting friends to your place for all or part of the day. Other singles – parents or not – might be in the same boat and may welcome the hospitality. Maybe you could really take advantage of having no responsibilities and take yourself on a short winter holiday or spa break, if you can afford it. Christian holiday companies offering breaks over Christmas and new year that are ideal for solo travellers, where you can enjoy the festivities and make new friends, include: Gold Hill Holidays, Christian Guild, Oak Hall, Richmond and Christian Endeavour Holiday Centres. On the other hand, you might feel like using the time for good, and volunteering at a homeless shelter or local Christian project supporting the elderly or vulnerable in your area. Alternatively, many busy single parents learn to see this time as a rare opportunity to relax in peace and quiet, pamper themselves and not share the remote control – and goodness knows they deserve the rest! Or they use the time to pray and make plans for the year ahead. A good pal of mine found Christmases when her ex had the kids really painful. 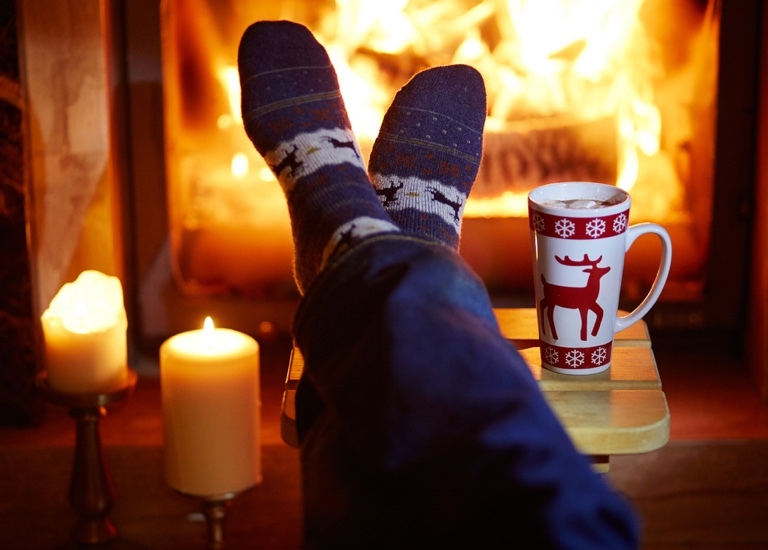 However, over time she’s learned to reframe it and now she relishes the time to herself – feet up with a good book and a pile of chocolate, and no little people constantly interrupting! If you’re dreading Christmas, why not pray about it now? Ask God to bring opportunities and guide your preparations, so that you and your children can all enjoy the blessings of the season and start the new year refreshed. Throughout December, Christian Connection members can buy my book, Would Like To Meet, for the special price of £4.99 (usually £6.99), plus free UK p&p. Visit my Facebook page for details.